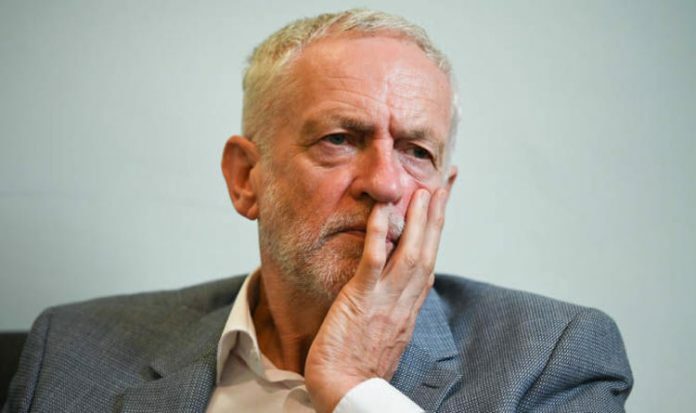 Research showed that any attempt by Jeremy Corbyn’s MPs at Westminster to frustrate the departure from the EU would lead to Labour candidates facing defeat in 19 of its 25 most marginal constituencies held by the party. The survey, carried out by the polling firm IQR for the Brexit-supporting pressure group Global Britain comes on the eve of the start of the Labour conference in Liverpool, where delegates are expected to vote on calls for the party to back a second EU referendum. Leave-backing Labour figures from tonight urged activists and trade union representatives at the gathering not to put the party’s election hopes at risk by backing the call. Brendan Chilton, of Labour Leave, said: “This research confirms our view that if the party does commit to supporting a second referendum then it will lose far more than it gains. “We will lose around 20 seats in the survey and see our vote depressed in many Tory-held seats as well. “The majority of voters don’t want a second referendum and want the Government to get on with Brexit. The survey quizzed around 10,000 voters in the 25 most marginal Labour-held constituencies including Peterborough, Newcastle-under-Lyme, Keighley, Crewe and Nantwich, Canterbury and Glasgow North East. Almost half of all voters (44%) in the 25 constituencies would be less likely to support their local MP at the next general election if they voted in Parliament to block Brexit, the survey found. In Ashfield in Nottinghamshire, 56% of voters said they would be less likely to vote for sitting Labour MP Gloria de Piero. In Dudley North the figure was 55% and in Keighley, West Yorkshire, the figure was 46%. It found that nearly half of them (45%) thought Brexit was the most important issue facing the country. Regardless of how they voted at the general election last year, a clear majority (58%) thought politicians should respect the result of the referendum and get on with the UK leaving the EU. Four out of five voters (80%) in the survey thought Brexit had dragged on long enough and wanted the departure negotiations concluded as quickly as possible. Less than a quarter (24%) of voters undecided or capable of changing their mind about which party to support at the next election wanted a second EU referendum. Nearly two-thirds (63%) of voters thought MPs’ decisions in Parliament should respect the 2016 referendum result whatever their personal views.